My goal this year was to make birthday cards for my family and some close friends. I've been doing really well and making the cards and getting them sent out on time but blogging them is an entirely different animal!! I use a Filofax to keep myself organized and I have a small post-it note for each month that outlines which cards I need to make for the following month. I like having everything ready to go several weeks before I need it just in case something pops on my schedule that I did not anticipate. But...that also means that I can't blog about it right away because I don't want the recipient of the card to see it virtually before they see it in real life. That means the pictures sit on my phone until I am sure the cards have been received (and normally quite a bit longer than that usually!). So over the next few days I'll be sharing some of the birthday cards I've made this year. First up is a wonderful card for a special gentleman. His faith is very important to him and I had this paper from The Paper Studio that I thought he would really appreciate. The bottom solid color is from Core'dinations and I embossed it using a Darice EF and then sanded it slightly to get that two color look. I wrapped some brown velvet ribbon I found in my ribbon basket under and the sentiment was printed out from my computer using the Lavenderia font. 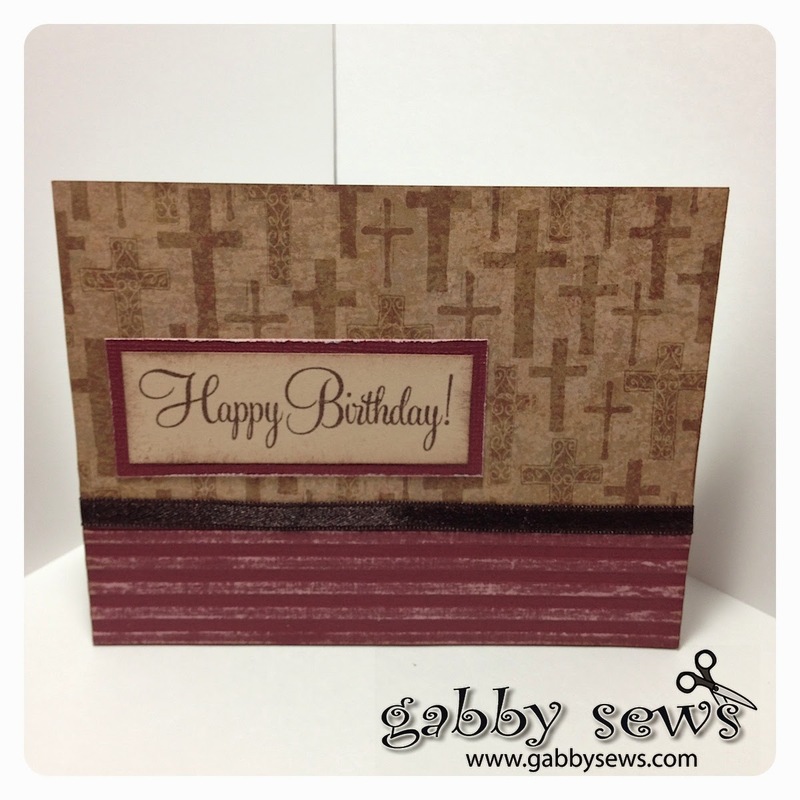 I used CTMH Chocolate ink for the sentiment and to ink around the edges of my layers for some added dimension. Mother's Day Cards - Better Late Than Never!